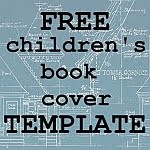 Should you self-publish your children’s book? These 5 questions will help you decide. You have a wonderful story, and it’s written at last. What should you do with it now? You want to get it off your hard drive and out into the world… but how? Maybe you're thinking you should self-publish... but then, you've heard that it's hard work. Or maybe you're considering sending it out to a publishing company - but have heard there’s so much frustration if you go that route. Should you self-publish? Or traditionally publish? This may be the hardest question we face as writers today. These five questions will help you make the choice, based on my experience navigating the joys and frustrations of self-publishing nearly 20 books for kids and adults, and helping others get their books out into the world. There’s no right or wrong answer to these questions. But if you find yourself answering NO to most of them, a traditional publisher will probably offer a more comfortable route to a final book. 1. Do you have a clear idea of where your book’s illustrations will come from? It doesn’t matter whether you’re doing the illustrations yourself or hiring an illustrator. The important thing is knowing that if you self-publish, you’ll have to either lay out the book yourself or pay someone with these skills to do it for you. Years ago, the age of 60 marked a threshold in a person’s life. Not anymore. Today, 60 is just the beginning. For many authors, including independent, self-publishing authors, it’s the start of the most productive years of their career. Easy: we’re busy doing other things. If you start having a family in your 30s, then you’ll be in your late 50s before they’re all up and out (if you’re lucky). Plus, until age 60ish, you’re probably working like crazy and perhaps caring for elderly relatives as well. It’s a tough time to sit down and write a book (though you can still find time to write if that’s where you are in life!). Have you fallen into the Comic Sans trap? Comic Sans was considered a great font when it was first released in 1994. But over the years, it’s gotten tired. These days, many indie authors use and recommend it as a good font for kids’ books, because it’s clear and easy to read. But it will brand you as an amateur more quickly than almost anything else. I’m sure you recognize this – right? Here are some great choices of alternative fonts you can use – and they’re all free, so there’s no excuse. We all have the same amount of hours in a day and it's usually not possible to complete everything on our daily to do list. This is especially true when it comes to writing because not only is it something that we put off doing to last every day, but find it hard to concentrate because of the nagging feeling that we should be doing something else. But what if you could sit down and write every day with 100% focus on your work and write more in the same time? Is that something that you like to do? As a lifelong writer, former English teacher, and writing coach and communication consultant for the last ten years, most people think that I write perfectly, no mistakes in grammar, structure, punctuation... it's all perfect. Nope! I don't write perfectly at all. Actually, I don't know that I ever write anything that an English teacher wouldn't get her red pen out for (case in point). I do it on purpose. I start sentences with "And" or "But." I use ellipses as if I have a huge box of them, and they must be used! I use slang; heck, I use my own made-up words like "baddies." I end sentences with prepositions. I use numbers instead of writing them out. Sometimes my sentences are not complete sentences. With my writing background, why in the world would I break writing rules? Here's the thing... I know exactly what the rules are, and, more importantly, I know WHY I'm breaking them. I have a reason. 1. Makes the writing more conversational. Makes the writing more conversational, so that it sounds as if I'm actually talking to you. Summer’s here, and if you have young kids, you know what that means: kids in your hair. All day long, and by evening, you’re sapped by family activities and running around. Running, running, running. They’re running you into an early grave… and you’re running on empty. Where can you find time to write? Some days (is this just me? ), the thought of sitting down at the computer after a busy family-filled day is utterly, completely depressing. I know there are disciplined writers out there who put in their 1000 words a day come hell or high water. But I’ll admit it right now: I’m not always one of them. Do you ever have a day when you feel like you’ve given them everything you’ve got? I do. Sometimes, I’ve given my kids everything in me and there is nothing – well, almost nothing – left. But it’s that almost nothing that you have to take and squeeze out. Those very last drops of inspiration are sometimes the very sweetest. Have you ever cut and squeezed a lemon?